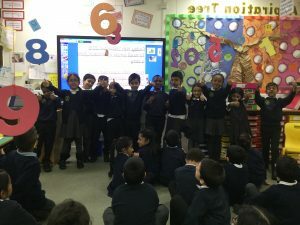 Broad Heath Blogs»Class Blogs 18-19»Class 2 Blue Blog 18-19»2 Blue super spellers! Class 2 Blue Blog 18-19We learn...We grow! Well done to the children who got full marks in their spelling test today. A super start to Year 2! Keep up the good work and let’s see if even more of you can get full marks next week. This entry was posted in Class 2 Blue Blog 18-19, Uncategorized. Bookmark the permalink. Well done 👍 to everyone try harder. Well done to all of 10,10 spellers.